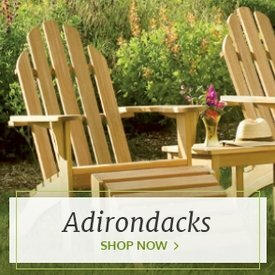 POLYWOOD® is a popular outdoor furniture company that is best known for its classic Adirondack chairs. 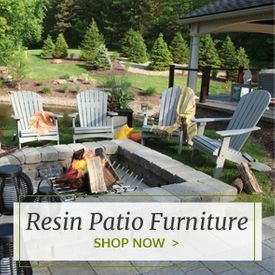 The company began in 1990, when it debuted an innovative high-density polyethylene material made from recycled milk jug lumber to be more eco-friendly than other man-made materials. The material also didn't absorb moisture in the way that wood does, so it would never splinter or rot. 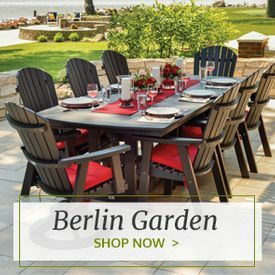 Today, POLYWOOD®'s Adirondack chairs, rocking chairs, dining sets and benches are all made of this imitation wood that is entirely resistant to moisture, wear and outdoor elements. POLYWOOD® offers painted outdoor furniture in a wide variety of colors, from classic wood shades to bright, summery hues. 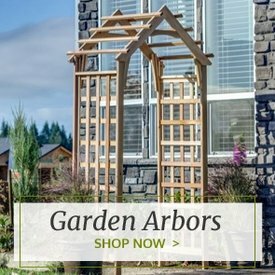 Choose from a wide variety of styles and colors that coordinate with your home's decor, or mix and match pieces from POLYWOOD®'s more than 20 different collections. 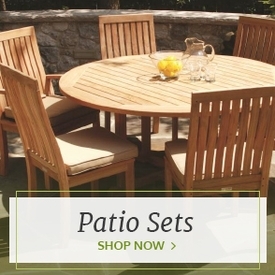 From traditional beach styles to more upscale European-inspired designs, Outdoor Furniture Plus offers durable POLYWOOD® furniture collections to suit any home.